AN INVITATION to tender for the Northern Isles ferry contract has been issued to three bidders. Submission of final tenders is scheduled for March, with a view to awarding the contract in July. It is expected to come into place at 2.01pm on 31 October while the routes’ vessels are in port. The eight-year contract, issued by the Scottish Government, is estimated to be worth around £370 million. Serco NorthLink currently runs the service, which links Shetland and Orkney to the Scottish mainland. 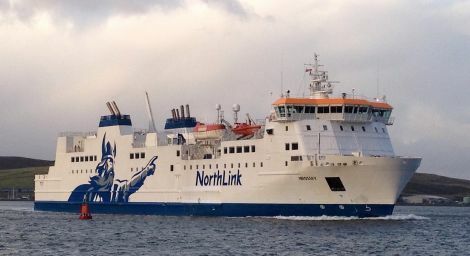 Minister for energy, connectivity and the islands Paul Wheelhouse, said: “Issuing the invitation to tender marks the next stage of the process to award the new contract to operate the Northern Isles ferry services. “The contract will run for eight years, allowing us to build a strong working relationship with the successful bidder, and all the routes within the network are being tendered as a single bundle. “The Scottish Government remains fully committed to high quality ferry services to the Northern Isles. A key benefit of this new contract is the in-built flexibility, allowing the ferry services to be amended to reflect future changes in demand across the important sectors of the islands’ economies – tourism, fishing, food and drink, aquaculture and farming. “Scottish ministers will also retain control of all of important issues, such as fares and timetables, through the public service contract. Shetland and Orkney MSPs Tavish Scott and Liam McArthur said the timescale is “very tight”. “It is essential that companies make constructive bids with improvements to the existing service,” the Liberal Democrats said. “It must, in particular, recognise the growing freight volumes that are being exported south to the Scottish mainland.